The Crafty Lass does… World Book Day! NEW – THE CRAFTY LASS CHRISTMAS WORKSHOPS! I don’t like rollercoasters. In fact I hate them! I am that one that will gladly wait at the finish with the coats and bags. I just don’t see the point of them! WHY would you allow yourself to be transported through the air by metal and engineering to feel sick and full of adrenaline?! NEW for 2018! The Crafty Lass does… Sketchbook Creativity Class including ‘Bind Your Own Sketchbook’! 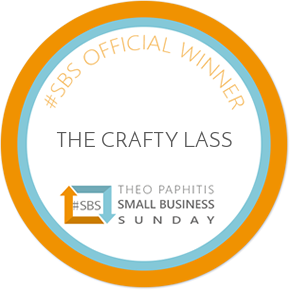 The Crafty Lass does… The UK Blog Awards! The Crafty Lass does… Northamptonshire Day! The Crafty Lass does… Pillowcase Cushion Cover!